Hey everyone! 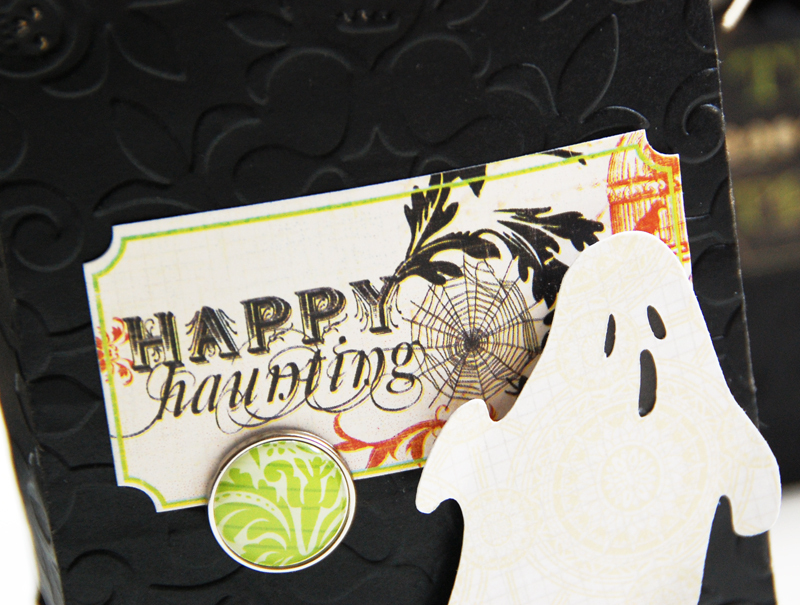 Roree here, and today I have a Halloween project that I created for the Pink Paislee blog to share with you using the Cuttlebug. 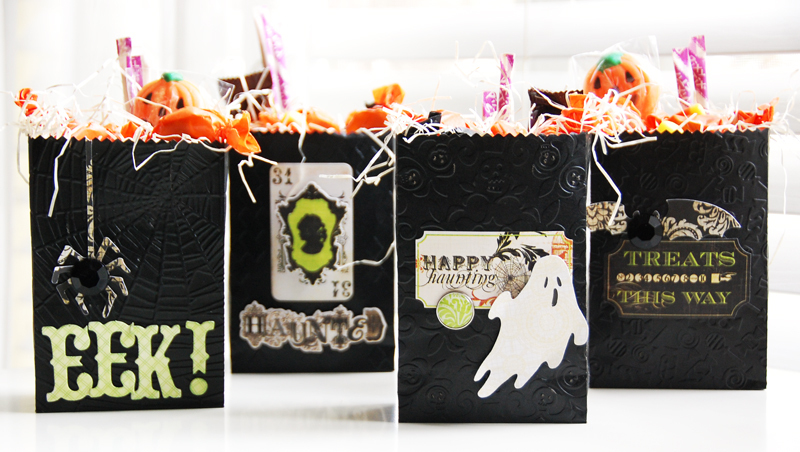 I’ve created some Halloween Treat Bags. I found the black bags at the craft store. I cut about an 1 1/2″ off the top of each of the bags with pinking shears, so they fit into my Cuttlebug embossing folders. 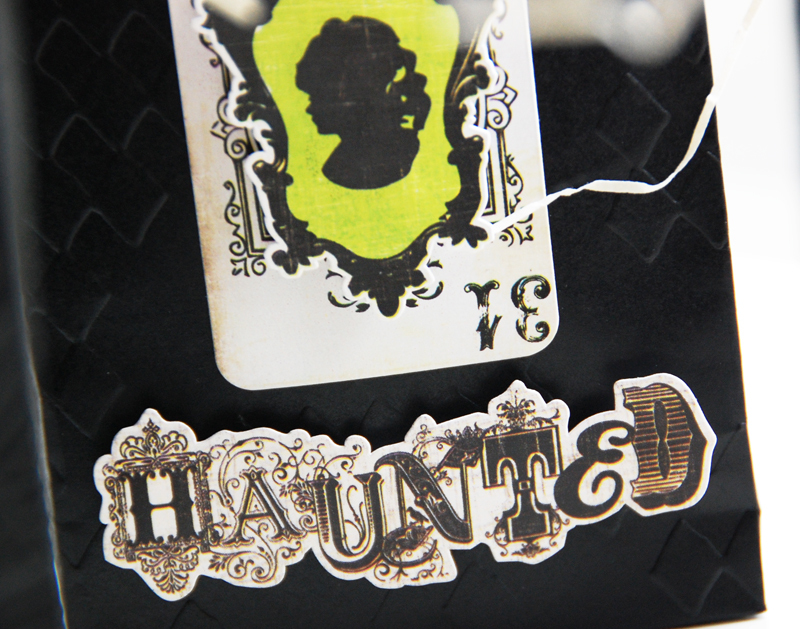 I embossed them, then I added stickers, brads, chipboard letters, and paper from the Phantom collection to decorate them. Check here for a list of supplies used. I finished the bags off by adding some shredded paper and candy. It is a quick and easy way to dress up your Halloween treats. That's it for me today. I hope you are having a good one. Thanks so much for stopping by! So CUTE! So FUN! LOVE, LOVE, LOVE!!! These came out great, and the embossing makes a big difference! Great project! 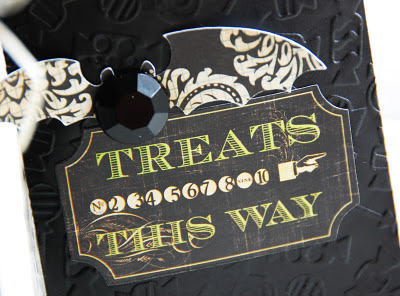 Love everything Halloween - my fave thing to scrap! 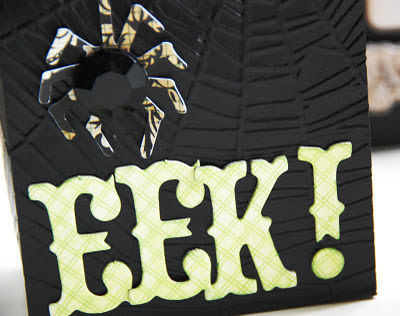 I especially like the EEK! spider bag - reminds me of a project I created last year that was just published.